We’d love more volunteers in our school. We can’t do what we do without you. We have families helping with our school salad bar, school garden, Annual Walk-A-Thon, picture day, food bag distribution, book fair, and fundraising. 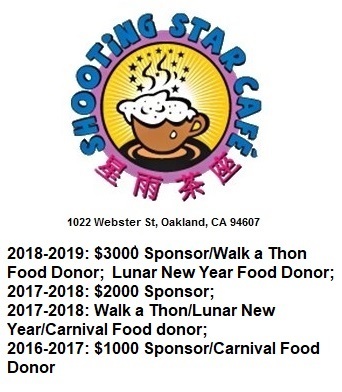 Please go online to www.ousd.org to register or come to the Parent Center for more information regarding volunteer opportunities. Annual Fall Walk-A-Thon (October) – On a Sunday in October, hundreds of kids put on their walking shoes and trek around the block surrounding Lincoln. In order to make this go smoothly, we need a large number of parents to serve as safety monitors, run the refreshment stands, hand out prizes, and more! More information here. Annual Spring Carnival (May) – On a Sunday in May, Lincoln will throw open its doors and party with carnival games and live entertainment. This event is all about providing a fantastic day for the kids and neighbors and it also makes money to support the school. Dozens of volunteers are needed! More Information here. Salad Bar (throughout school year) – Did you know that Lincoln’s Salad Bar provides much needed fresh fruits and veggies to go along with the school lunch? That said, we only have it because the parents and caregivers of this great school stock the bar and make it happen, Monday through Friday. Come once a week, twice a month, or even once a month.